Crypto Community Review, Crypto Community SCAM App Exposed! 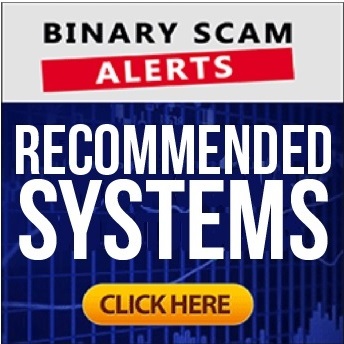 Binary Scam Alerts » Cryptocurrency Scam Reviews » Crypto Community Review, Crypto Community SCAM App Exposed! The Crypto Community software, app, and automated trading system (AKA Robot) by Kyle McPherson is a confirmed crypto scam and get-rich-quick scam. The problem with Crypto Community is the fact that it is a recycled version of older scams and what is commonly referred to as a white label or turnkey solution for unethical affiliate marketers wanting to promote fraudulent software. It has also come to our attention that the crooks behind the Crypto Community SCAM are also involved with some seriously criminal financial fraud in the form of fictitious invoices, tax evasion, fake ICO’s, HYIPs, and credit card fraud. If you have received some kind of email invitation to join this fraudulent piece of software, your should be aware that Crypto Community is directly responsible for defrauding unsuspecting victims and opportunity seekers who are simply searching the internet for a legit or genuine trading app. So please do NOT click on any links associated with this scheme. You should also know that there is not “secret” which will turn you into a crypto millionaire overnight, and the lousy rehashed sales pitch about the “wisdom of the crowds” is so worn out that we could barely finish watching the cheap sales presentation. Overall, our impression of the Crypto Community SCAM is that it uses the minimal investment in order to gain the maximum advertising power from a crappy sales pitch. Keep reading our detailed and informative Crypto Community review and see how we exposed the charlatans behind it. Below is the main sales presentation area for the Crypto Community software. You can clearly see how Kyle McPherson introduces himself and why it is not convincing in the least bit. Moving forward, here is the testimonial section of Crypto Community. Here you can very easily see how they are using fake testimonials in order to promote their filthy app. We have added the actor’s Fiverr profile here Voiceoverbylouis so you can see for yourself how it is used in a manipulative and deceitful way. Crypto Community Review – Complete Fiscal Security Or Cheap Swindle? Bitcoin, Ethereum, NEO, Ripple, the list of cryptocurrencies is growing. But which ones will deliver the growth you desire? That is how the sales pitch for the crappy Crypto Community software starts. Reveal a pathway to success using a powerful algorithm connecting a diverse network of traders. This software compiles user data to predict winning trading patterns and generate massive profits for you on auto-pilot. He is supposed to be the person behind Crypto Community. In reality he is a fictitious entity which was invented by online marketers who thought it was a good idea to have some kind of fake persona. How Does Crypto Community Work? An automated platform studies the community to develop customized strategies that drive profit. The analysis gives users an “edge” over competitors. Regardless if the markets are up or down, Crypto Community generates money for individuals. The so called “powerful trading algorithm” makes split second decisions with up to 96% accuracy levels. Is The Software Fully Automated? Yes, Crypto Community is marketed as a fully automated crypto trading robot. It is a social trading system that uses the data from users to predict the hottest trends. Is Crypto Community Scam or Not? It is a verified crypto scam – no doubts about it. Of course not, and they even say it on the presentation. It will cost you at least $250 to get started and that money will be charged to your credit card or Paypal account depending on how you chose to fund your trading account. Please be advised, the brokers who manage your funds and provide the trading environment are NOT your friends and don’t really care about your financial state of affairs so don’t deposit. Well, we are the first ones to publish a Crypto Community review, so at this time you will not see any others. However, we are sure that very soon a few fake reviews will pop up as we know affiliate blogs are out to attract viewers and get commissions. It’s very much possible to make money trading Bitcoin and other currencies, but Crypto Community is piggy backing on the hype generated by the media to lure you into their web of lies and deception. We have fake testimonials, inflated bank accounts, unverified claims, and complete lies about how much money you can make using Crypto Community. In a nutshell, its a scam so stay away. The ones to watch out for are Bitcoin Millionaire Pro and Litecoin Trader. There are tens of trading apps being launched on a daily basis, and we know that most of them turn out to be fake systems designed to steal your money. However, once in a while a new software hits the markets and that is when our staff starts testing it. If it generates profits consistently, we add it to our recommended section and continue to monitor the performance closely. The Crypto Community scam by Kyle McPherson is a confirmed cryptocurrency scam which was designed with the malicious intent to defraud and victimize unsuspecting crypto traders. We know you are just looking for an opportunity to cash in on a solid offer, but unfortunately we also know for a fact that Crypto Community is an extremely misleading and deceptive software which will end up costing you a lot of money and leaving you with a hefty dose of remorse, frustration, and aggravation. Get ready for late night phone calls from sleazy sales agents posing as legit brokers and excessive charges on your credit card statement. These are just some of the things which await you if you decide to test the waters and join the blacklisted Crypto Community SCAM. In light of the overwhelming amount of evidence our staff was able to produce, we have no choice but to advise our members and viewers to seek alternative investment options. Don’t forget to join our Facebook Group and YouTube Channel and get informed about new scams.